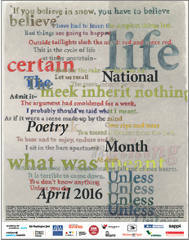 Fill out the form to request a FREE 2016 National Poetry Month poster. 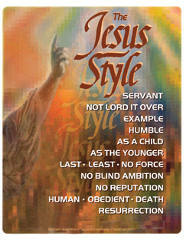 Get your FREE Servant Quarters posters, bookmarks, and stickers. 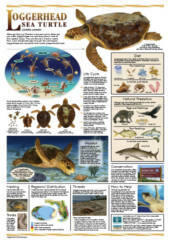 Fill out the form to request one set of five posters (includes one poster of each of Florida’s five sea turtle species – Loggerhead, Green Turtle, Leatherback, Hawksbill and Kemp’s Ridley) to a Florida address only. 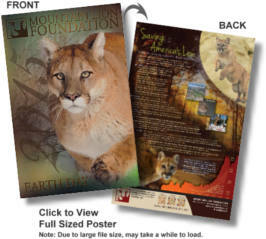 Fill out the form to get a FREE 11″ x 17″ Mountain Lion Earth Day poster. 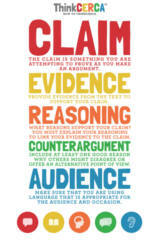 Fill out the form to request a FREE ThinkCERCA poster. 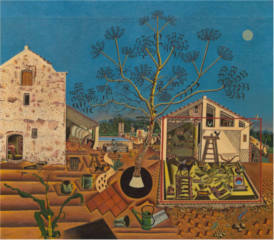 Educators may request a FREE, full-size, color copy of an Art in the Classroom poster by completing the form on the offer page. 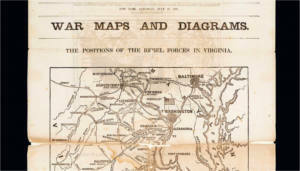 Fill out the form to get a FREE Mapping It Out Civil War poster. More info can be found here. 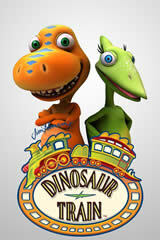 Fill out the form to request a FREE Dinosaur Train Nature Tracker poster. NOTE: This offer is for educators only. 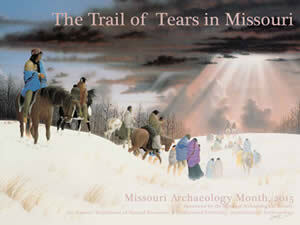 Request a FREE Missouri Archaeology Month poster. Posters prior to 2008 vary in size. Those printed after 2008 measure 18-x-24 inches. Free for Missouri residents only. If you reside in a state other than Missouri, you must send $3.50 for postage, materials, and handling. Get a FREE poster version of TeachersCount “Behind Every Famous Person is a Fabulous Teacher” ad campaign. Just send them an email at posters@teacherscount.org with your name, and mailing address, and they will send you their latest edition of posters absolutely FREE!